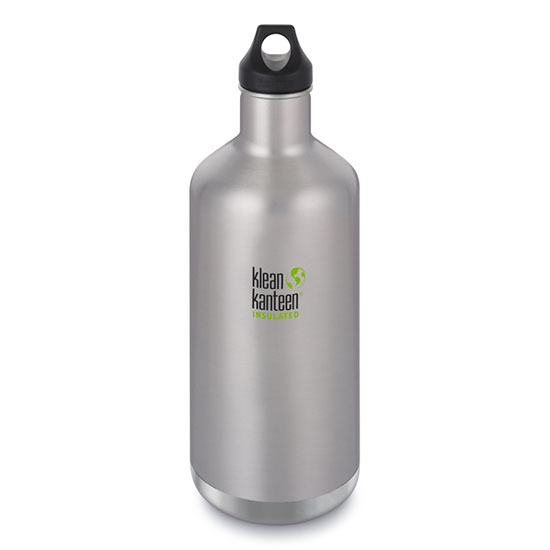 The Klean Kanteen Insulated range has extended to its original Classic style for a stylish looking bottle with high-performance, double-wall vacuum insulation. This is on top of a 1900ml size now being offered in the classic style bottle. And at nearly 2 Litres, the 1900ml size is ideal for long days out from work to picnics to the boat. Enjoy coffee, tea, hot chocolate or ice cold juice and water. Summer or Winter it will keep your drinks fully drinkable. With a leak-proof Loop Lid, the Klean Kanteen Insulated Classic’s double-walled vacuum insulation keeps contents hot 12 hours, or iced 24 hours. Lid Choice: Comes with a leak-proof polypropylene #5 Loop Cap. Sport Lid 3.0 (NOT leak-proof) and Stainless Steel lids also available under accessories. To clean your insulated stainless steel bottle, handwash in warm soapy water.